Home business news Global Stock Markets Near Collapse, an Inverted Yield Curve has Forsaken US! Global Stock Markets Near Collapse, an Inverted Yield Curve has Forsaken US! The last ten years have been amazing for global equities. 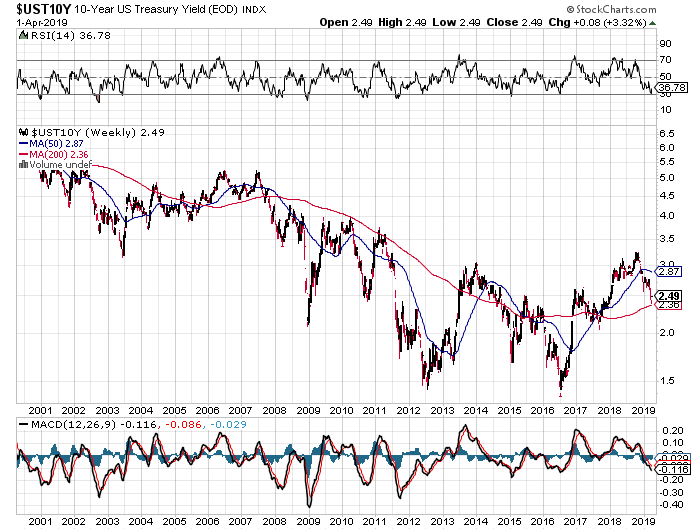 Now, an inverted yield curve is flashing a big warning which seems to be lost on global investors. After the central banking cartel decided to dump trillion upon trillions of dollars into the banking system, the impossible happened. Bond yields fell to the floor as stock markets around the world shot to all-time highs. It was a great party for just about any investor. People who were long stocks made money, and bondholders watched their investments gain as well (bond prices move inversely to yields). The central bank magic that made all this possible looks like it is impossible to unwind. When ‘Quantitative Easing (QE)’ started, it was always assumed that one-day central banks would take all the new credit (money) they created out of the system. From the looks of it, a big drawdown in central bank balance sheets isn’t going to happen. People think that banks and governments are two very different entities. While this may be true in theory, in practice, they appear to be one and the same. When the global banking system was on the brink of collapse in late 2008, global governments and central banks stepped in to save the bankers from the piles of bad bets they had made. Consumers in the US, UK and EU were given a very different deal. One might refer to it as ‘the shaft’. Instead of being bailed out of their debts, they were forced to pay for massive bank bailouts. Anyone who was rich enough to take advantage of the new policy dynamic made off like a bandit, but this wasn’t the case for most people. Over the last year or so, the biggest central banks began to tighten monetary conditions. Rates were starting to rise, and some of the purchases they made in the post-2008 madhouse were starting to be sold into the open market. It is impossible to say for sure why the equity markets in the US had one of the worst Q4’s since the great depression, but the central bank tightening scheme probably played a big role. Another factor that has become more prominent over the last few months is yield curve inversions. There was a partial US yield curve inversion in late 2018. More recently, the 10 year US bond yield crossed below the 3-month bill yield, which sent shivers across the global markets. An inverted 10 year/3 month yield curve has been a reliable predictor of US recessions, which would imply that current equity values are way too high. So far, equity markets have shrugged off this development, which is curious, to say the least. Keep in mind that most major equity indices are within 15% of their all-time highs. 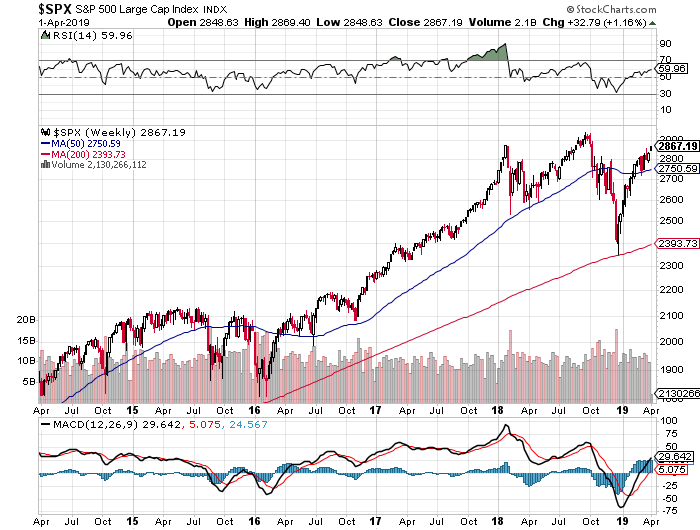 The wave of selling that defined the last quarter of 2018 has all but been erased, though economic conditions continue to deteriorate. For the moment, the seemingly unshakable confidence in central banks seems to be keeping the global equity markets high, and major government bond yields low. This looks like an untenable situation, which may shatter at any time. No one ever went to the poorhouse by taking profits. If you are sitting on gains from one of the longest bull markets in history (depending on the country), this might be a good time to take some of those profits off the table. There is no telling when another wave of selling might hit the equity markets, but it isn’t likely to be more than a few months away.